Sorry, I honestly don't know. The numbers and lines look like they are each pointing to a cluster of pins. So, if I look at it a different way, it may be pin 12. See the diagram, and see if you can follow their pin numbering logic. I'll help you keep looking and post back here when I can. It's pin #28 - the numbers are assigned per row, so if you look at the diagram and start at the right, you'll notice the numbers move bottom to top. So the farthest row is 1 and 2, then back to the bottom on the next row to the left is 3 and 4, then back to the bottom again for the small pins is 5 to 8, and so on. I can see enough detail in the photos to see that it's next to pin #33 and #21, so the numbering would make pin #28 the one that's scorched. I'm finding that this pin is a ground for the TIPM. The ground distribution diagram shows pin 14 in the same connector is also a ground. Verify both grounds are in tact - hook a test light to battery positive and check that it turns on when touching it to both pins. You should also remove the green retaining bracket from the connector (they'll usually come out with a small flat blade screwdriver) and make sure there's not a short inside the connector. You guys are great thank you everyone. I’ll doublecheck the grounds before installing a new part. If the grounds are indeed faulty would that explain the issues I’ve been having? Also thank you for explaining how the pins are laid out I see it now! I still have access to service info from when I attended school a few years ago. When I'm working on my own stuff, or sometimes am having difficulty with the service info at work, I use the service info I used at school. One thing I forgot to mention - make sure to use a fuse on your test light and wiggle test the harness as you're checking the grounds. If the fuse blows, the wire has probably rubbed through and is being shorted to a voltage supply. You'll have to remove the sheathing on the harness to inspect for this problem. Also, the wiring diagram I'm looking at shows pin 28 and 14 sharing ground G102 at the left rear of the engine compartment. This ground is also shared by the windshield wiper motor. If the wiggle test doesn't reveal anything abnormal, but the fuse continues to blow, try unhooking the connector for the windshield wiper motor. 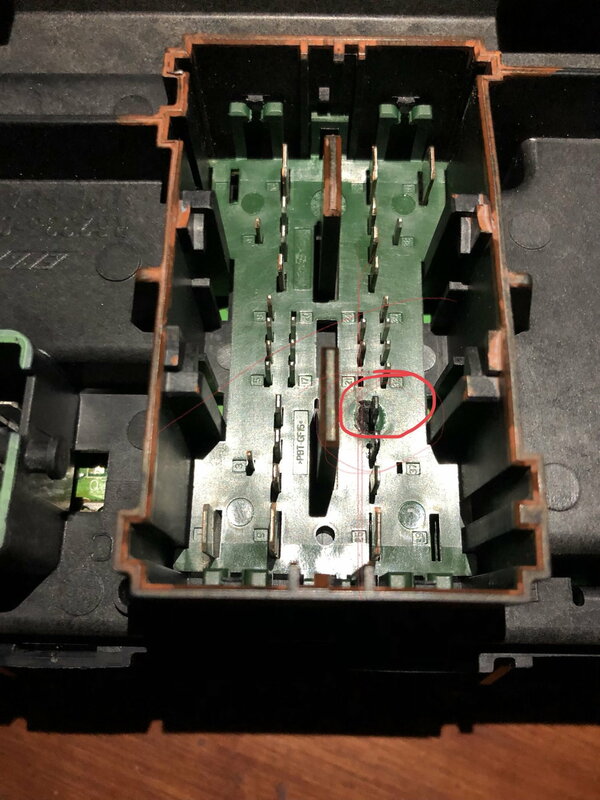 There could be a problem with the wiper motor or related wiring that's causing a surge back to the TIPM - what's called "sneak circuit feedback." I can't find anything definitive but it looks like G102 is possibly on the transmission or the fender near the TIPM. The diagrams Dodge provides for this kind of thing are not very detailed. Hey guys, finally Got around to checking the grounds in the brown plug, problem now is the pins that should be ground are very weak grounds but there are more pins grounded than there should be does anyone have a pin out? What do you mean by “weak” grounds? And what other pins are grounded? Well when I use my test light the light is dimmer than it should be, seems like the ground is weak, I have to look at it again today to figure out what pins are grounded as well, are there more in that connection that should be ground? I followed the wired to a terminal on the back of the firewall but grounding there produces the same result im starting to wonder if the body ground itself is compromised.